Norris Carpet Cleaning has been serving the Indianapolis area with water extraction and carpet cleaning services for over 25 years. 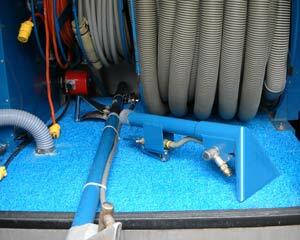 Our commercial truck mounted equipment can remove even standing water. This powerful system removes up to 95% of all moisture. This water extraction will begin the restoration process. The damage from water and storms can be sudden and known or a surprise when hidden leaks have like from water heaters has gone on. 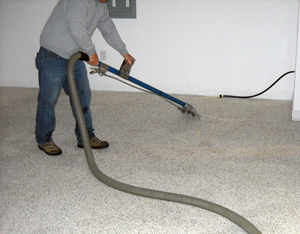 We offer the water dry-out and can even help with restoration repairs to walls, flooring and stairs. You have water damage of any kind! We offer 24/7 emergency service so feel free to call us any time to help in an emergency! Norris Carpet Cleaning is locally owned and operated by Doug Norris. Doug has been doing great cleaning and restoration work for business and residential customers in the Metro Indy area for over 25 years. He takes personal pride in doing a great job every time! Avon , Arcadia , Atlanta, Broad Ripple, Brownsburg, Camby, Carmel, Cicero, Clermont, Cumberland, Edgewood, Elwood, Fishers, Fishersburg, Fortville, Geist, Greenwood, Ingalls, Lapel, Lawrence, McCordsville, Mooresville, New Palestine, Noblesville, Speedway, Strawtown, Whiteland and Zionsville.